Umbrellas are awesome for keeping rain or sun off you. Just a wonderful invention but there are some downsides. Particularly around closing them while getting into cars. Unless you have a driver, chances are you’ve struggled. The Inverted Reverse Windproof Umbrella is the perfect solution. This umbrella has an upside-down design. When it is in use it looks just like any other umbrella but the way it closes, makes it look like a factory defect. This funky looking design is amazing however, it keeps the rain water from dropping all over your shoes and makes it super simple to slip into a car on a rainy day. 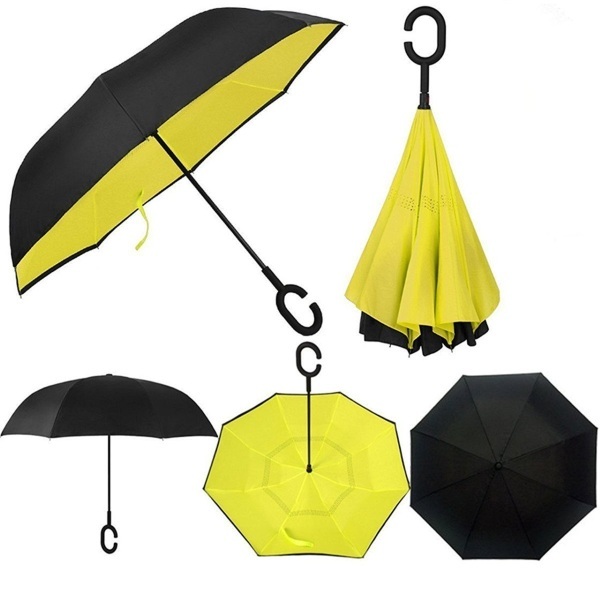 The umbrella comes in a variety of colors and designs, all with the same great functionality. Each umbrella fits only one person. 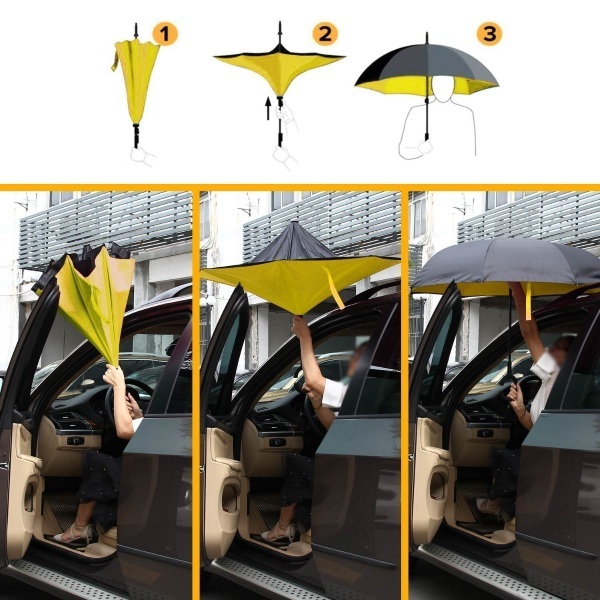 If you hate struggling to close your umbrella to get in your car or hate how they drop all over the floor, you can get one of these, starting at $19.99. Nice idea but it would be a toss-up between the conveniences of this umbrella and one-hand operation (which this umbrella seems to lack). One-hand operation wins this, I think. I don’t mind using both hands. I hate the dripping with traditional umbrellas.